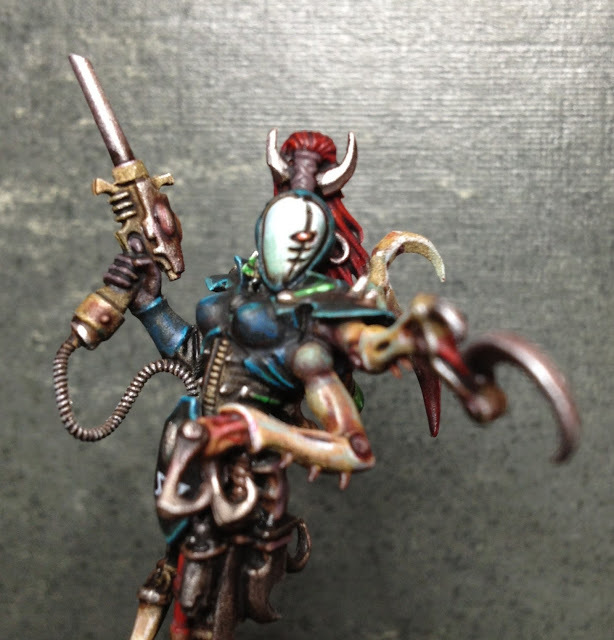 Here's a little preview of the painted wrack mistress/acothyst. She's not completely finished so I'll wait with full figure pics until she's done. Looking great so far, the metal tones in particular are looking superb. O I like this very much. She is looking great, Jeff. Very creepy. I'll put up the final pics soon!